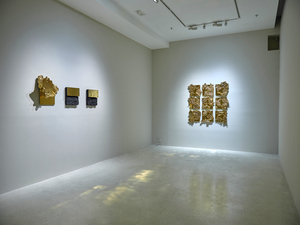 For the past two years, Drew lived in China and immersed himself in Chinese culture in order to create this profound, site responsive new body of work. 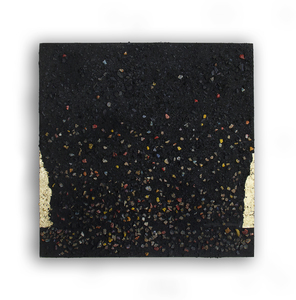 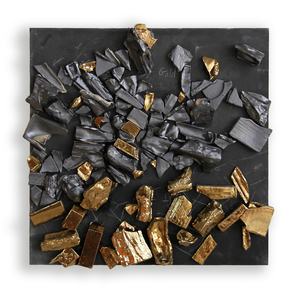 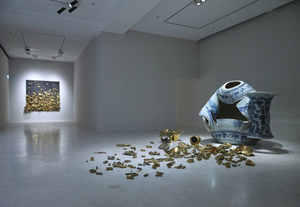 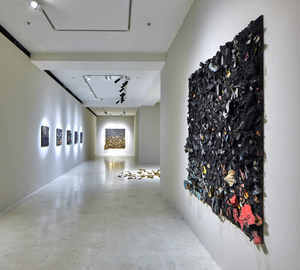 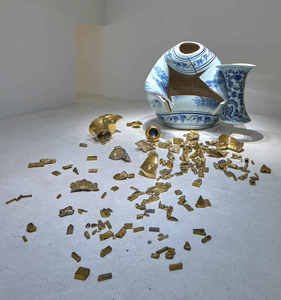 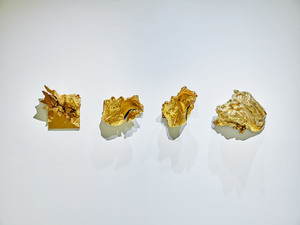 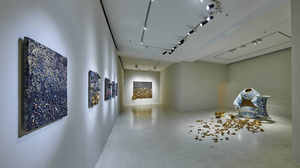 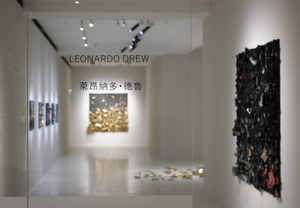 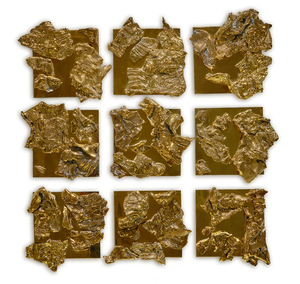 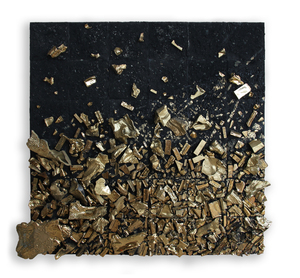 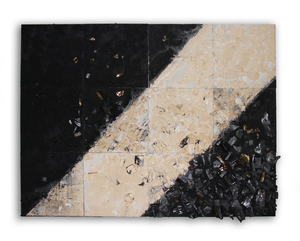 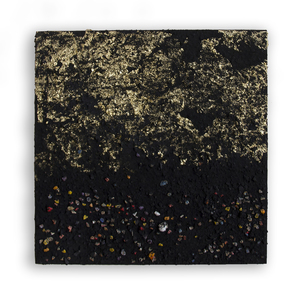 Building upon his interest in non-Western philosophies, Drew’s new corpus of sculptures offers insight into the artist’s diverse subjectivities, notably incorporating jagged, gold-plated shards of porcelain into the picture plane for the first time and developing compositions that appear more geological in their approach, as if reckoning with a spiritual and physical terrain of profound depth. 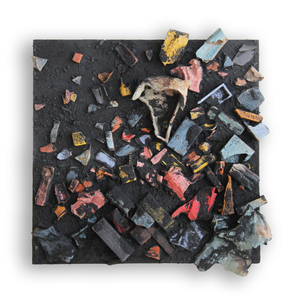 Whereas Drew’s earlier sculptures evoke qualities of urbanism in ruin, these new works feel spiritual, tectonic, and cosmic. 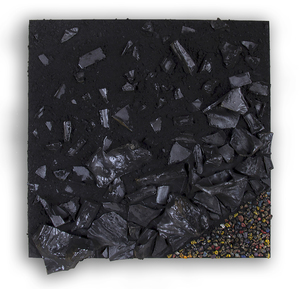 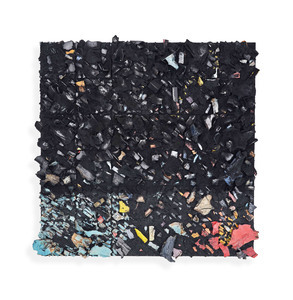 If Drew’s work previously challenged viewers to question the cyclical nature of contemporary life, this exhibition encourages a debate between the geologic and the modern, calling into question the transformation of matter.